Are your energy bills higher than normal? Is your home drafty and uncomfortable? If so, it could mean your home isn’t as energy-efficient as it could be! If you’re experiencing issues like those, your home might need air sealing. This is why we offer an air sealing package as part of our Comfort Home Program! Our tailored package can help reduce air infiltration problems by helping ensure your home is air tight. Do You Need to Seal Your Home? In addition to window and door frames, be sure to check areas like attic hatches, vents and fans, electrical outlets, AC units mounted to walls or windows, etc. 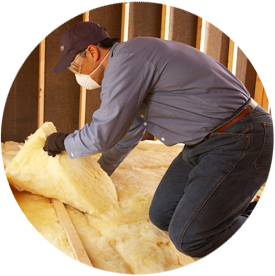 If you want to insulate and seal your home in the southeastern Virginia area, contact Tidewater Insulators to learn more about our air sealing package!